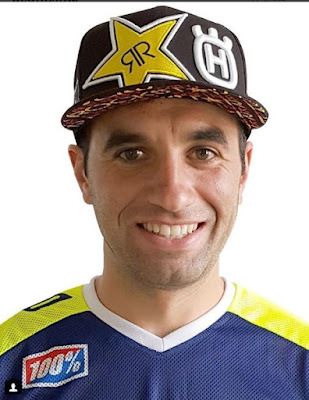 Husqvarna Motorcycles are proud to announce the signing of Alfredo Gomez, with the Spaniard joining the Rockstar Energy Husqvarna Factory Racing team ahead of the start of the 2018 FIM SuperEnduro World Championship. Following an impressive season of Hard Enduro racing throughout 2017, Alfredo will compete for the Rockstar Energy Husqvarna squad aboard a Husqvarna TE 300i. Securing a significant career victory at this year’s ErzbergRodeo Hare Scramble, Alfredo recently returned to Europe having successful completed the Roof of Africa – the final stop of the Hard Enduro season. Alfredo is now gearing up for the switch to indoor enduro competition. Wrapping up the 2017 FIM SuperEnduro World Championship as runner-up, the Spaniard is confident of finishing one-place higher this year. He will begin his quest for the 2018 SuperEnduro title at round one of the five event series on December 9, in Krakow, Poland.